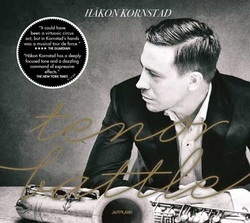 More jazz, yet more opera than any other album from Håkon Kornstad. “Im Treibhaus" features an eclectic mix of songs and arias by Wagner (the title track), Schubert, Mascagni ,Verdi, Grieg and others, spontaneously arranged with improvisation and strong interplay together with two of Scandinavia’s finest improvisers. Kornstad Trio won Kongsberg Jazz Festival’s prize in 2002 - and for the prizewinner concert the following year they invited German trumpeter Axel Dörner. Live recording from Smeltehytta, Kongsberg. Limited release, out of print. Håkon Kornstad (saxophone, tenor) with his ensemble in a live recording with Kringkastingsorkesteret (Norwegian Radio Orchestra), conducted by Christian Eggen. Opera arias, Neapolitan songs and Kornstad’s own compositions in new arrangements by Erlend Skomsvoll, Kjetil Bjerkestrand and Håkon Kornstad. with Sigbjørn Apeland (harmonium), Lars Henrik Johansen (harpsichord, celesta, piano, cimbalon), Per Zanussi (double bass) and Øyvind Skarbø (drums). After four years of rehearsing and playing concerts as an ensemble while Kornstad is studying opera, the first album is recorded in Rainbow Studio, Oslo 2014-2015. 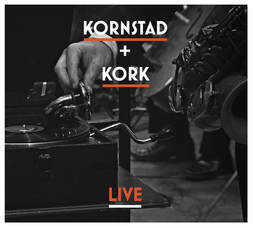 Kornstad sings in Italian, French and German with a light Scandinavian tenor, alongside his warm tenor saxophone playing. with Sigbjørn Apeland (harmonium), Lars Henrik Johansen (harpsichord, cimbalon), Per Zanussi (double bass, saw) and Øyvind Skarbø (drums). Recorded and mixed by Jan Erik Kongshaug. First solo LIVE album, recorded November 2014. Saxophone and looping as well as two tracks with singing. Solo album with saxophone, looping. The first all solo album, recorded in the Sofienberg church, Oslo. The first album, produced by Bugge Wesseltoft and featuring Live Maria Roggen on vocals and Erlend Skomsvoll in addition to the regular lineup. One of the albums that defined the Oslo electronica jazz scene in the early 2000’s, and earned Wibutee international acclaim. This album from 2001 was Wibutee’s second, produced by the trio and featuring electronica artist Sternklang on some tracks. Wibutee was now an all instrumental lineup, and highly inspired from fellow Norwegian contemporaries like Röyksopp and Nils Petter Molvær. “Produced Free Jazz” was the keyword for this album, also entirely mixed and produced by Wibutee at their studio in Grønland, Oslo. More cut up, funky and electronic than the previous albums. Featuring Björn Charles Dreyer, Hild Sofie Tafjord and Håvard Wiik. Introducing a warm and dark, folksy rock sound into the electronic sound, and featuring Anja Garbarek on the track “The Ball” with lyrics by Kornstad. Also featuring Tor Egil Kreken on bass and banjo. Released on Wibutee’s own label Sonne Disk. Ingebrigt Håker Flaten found his grandmother’s collection of psalms and hymns, and together with Kornstad explored them in a free fashion. Recorded in a beautiful Swedish castle, this album is released on the Swedish label Compunctio. Håker Flaten and Kornstad was joined by drummer legend Jon Christensen on these live albums, recorded in Jakob Church in Oslo and at Uppsala Sacred Music Festival in Sweden.